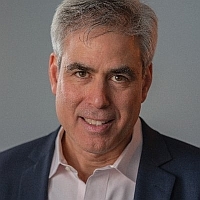 JONATHAN HAIDT is a social psychologist and Professor of Ethical Leadership at NYU’s Stern School of Business. He received his PhD from the University of Pennsylvania in 1992 and taught for 16 years in the department of psychology at the University of Virginia. His research examines the intuitive foundations of morality, and how morality varies across cultures –– including the cultures of progressive, conservatives, and libertarians. Haidt is the author of The Happiness Hypothesis: Finding Modern Truth in Ancient Wisdom (2006), and of The New York Times bestseller The Righteous Mind: Why Good People are Divided by Politics and Religion (2013). His next book is tentatively titled Three Stories about Capitalism: The Moral Psychology of Economic Life. He has given four TED talks.